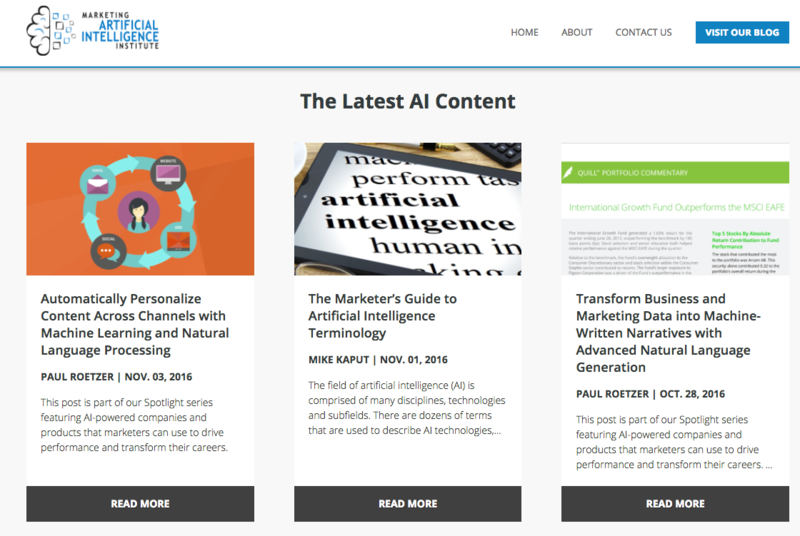 Editor's Note: This post was originally published on the Marketing Artificial Intelligence Institute, a new community for modern marketers created and powered by PR 20/20. In April 2015 I launched an internal initiative at PR 20/20 named Project Copyscale designed to answer one seemingly straightforward question, can we automate content creation through artificial intelligence (AI)? More specifically, can we use machines to write blog posts? Like most organizations, we were struggling to create content at scale, while maintaining quality. 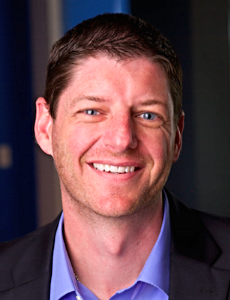 I had just returned from SXSW in Austin where I heard the managing editor of the Associated Press and the CEO of Automated Insights discuss how the AP had used Automated Insights technology to shift earnings reports to 100 percent machine written. I had spent the better part of three years theorizing and building software that would use AI to automate marketing strategy. So I knew theoretically what was possible, but I had no idea if the technology truly existed to transform our agency, the marketing industry and the business world at large. What we’ve learned since that time has altered my view of what’s possible today, and in the near future. We’re still experimenting with developing AI software, but I’ve shifted our focus to something we’re more uniquely qualified to do—tell the story of AI from a marketing perspective. As the number of connected consumers and devices expands, the amount of data produced exponentially increases. Meanwhile, marketers’ ability to filter through the noise and turn data into actionable intelligence remains limited by biases, beliefs, education, experiences, knowledge and brainpower. In other words, we have a finite ability to process information, build strategies, create content at scale, and achieve performance potential. Despite advances in marketing automation—and the billions of dollars pouring into marketing technology companies—much of the technology marketers rely on today to plan, execute and evaluate marketing campaigns is elementary. But artificial intelligence possesses the power to change everything. Demis Hassabis, Co-Founder and CEO of Google DeepMind, defines artificial intelligence as, “the science of making machines smarter,” which in turn augments human knowledge and capabilities. It’s not the fictional AI you see in the movies like Ex Machina (that’s called artificial general intelligence, which we’ll discuss in a future post), but, rather, it’s real-world technology delivering practical solutions for specific business and marketing functions. While traditional marketing technology is built on algorithms in which humans code sets of instructions that tell machines what to do, with AI the machine creates its own algorithms, determines new paths and unlocks unlimited potential to advance marketing, business and mankind. Artificial intelligence may seem like a futuristic concept, but its use is widespread among companies we interact with daily, including Netflix, Amazon, UPS, Facebook, Google and Apple. While AI is transforming industries and redefining how we learn, communicate and live as consumers, we haven't seen the same volume and velocity of AI innovations in marketing—until now. 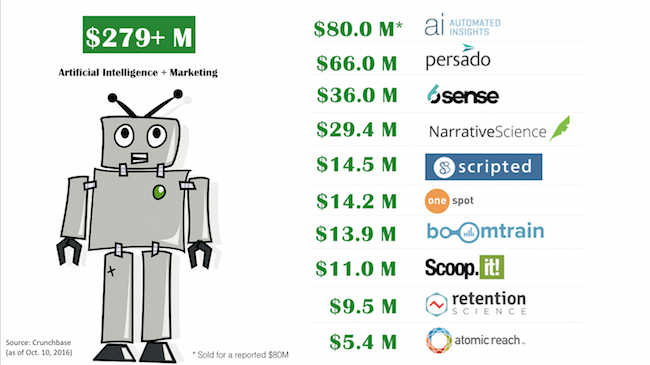 Massive amounts of data; exponential advancements in computing power; and the availability of AI technology from Facebook, Google, Microsoft, IBM and others have combined with a flood of venture capital money pouring into everything AI to prime the marketing industry for disruption (see funding totals below for 10 sample AI-powered companies) . Many tasks commonly performed by marketers are being augmented by machine learning, deep learning and cognitive computing. Marketers who can harness the power of AI will be able to do more with less, run personalized campaigns of unprecedented complexity, and transform business as usual through new methods of machine-intelligent marketing. The opportunities are endless for marketers and entrepreneurs with the will and vision to transform the industry. The future isn’t just coming, it’s here. There’s no roadmap for where this is going, so we’ve created the Marketing Artificial Intelligence Institute (MAII) to try and figure it out together. MAII was created by PR 20/20 to be a community by marketers, for marketers. We plan to tell the story of AI through the technology leaders building the solutions, and the marketers who are using AI to evolve their businesses and careers. We also hope to inspire the next generation of AI tools, purpose-built for use cases identified and championed by the MAII community. The Institute will start as a simple blog, publishing news, trends and resources, as well as regular spotlights on the companies, products and professionals using AI to drive innovation within the marketing industry. The blog is really a minimum viable product. If we find that other marketers are as curious as we are to learn about AI and integrate it into their businesses, then MAII will grow into something much more. But, for now, let’s start with the story of AI and marketing. It’s going to be an exhilarating journey into the unknown, full of innovations that will alter our understanding of what’s possible. I hope you’ll subscribe and join the community!